Amin survived and is now living in an accommodation for minor refugees in Hessen, Germany. But he had to experience the meaningless death of 20 persons by drowning, because firstly entry and afterwards their rescue has been refused: 20 more victims of a merciless european border regime, which obviously is calculating with the death of refugees. We started once again to Igoumenitsa soon and we were shown the ship that should bring us to Italy. This boat was obviously in a bad condition, but we were so desperate and in need to find a way out of Greece and so we entered. We were many persons: about 260 mainly Afghans. We left for Italy. I felt very queasy, I was in the bottom of the ship and tried to sleep. I was not really sleeping I was so afraid. I was drifting away. Then my friend woke me up: “Get up! There is water inside the ship.” There were several cracks. The crew tried to pump down the water but it was not successful. It became 5 PM and there was more and more water inside the ship. I was feeling a panic, I felt it was the last minutes of my life now. The ship lost more and more of its wooden parts. We had buckets and with five persons we tried to get out the water with these buckets. It was impossible. The others had already lost all their hopes. The Captain still said: “Don’t worry, we will be in Italy soon. We are only one hour distance from Italy.” At 7:30 PM the bilge was full of water. It was over. The captain tried to find help. We called the Italian coast guard. They asked us where we are, but we could not explain exactly. They explained the weather conditions are very bad, it was getting stormy more and more. There was only crying and praying now. There was no land in sight and no help. I was crying and vomiting all the time, finally there was only blood left to vomit and so I vomited a lot of blood. At 9:30 PM we had lost our hope, but than we saw a military ship. We were waving and shouting but they did not come closer. This ship was without a flag. Some of us could speak English and they said there were English words written on it. After another half hour there was a big Dutch vessel. Our engine was broken down meanwhile. The Dutch vessel put on some big lights and they threw nets and ropes for us to enter their ship. But many of us were in absolute panic. They were pushing others and many fell into the sea. More than 20 people died in this situation. But the Dutch vessel rescued more than 200 of us. It was a Dutch captain but the whole crew who rescued us was from Philippines. I was one of the last persons that were rescued. Some minutes later our ship sank completely. We were all shivering but there were no blankets, we were so many. The Italian coast guard refused us entry. And so the Dutch vessel brought us back to Greece. 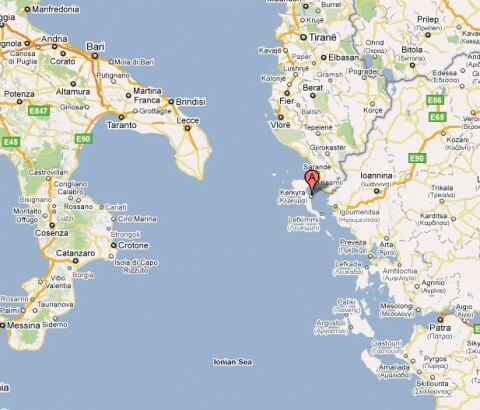 They started moving back at midnight and we reached Kerkyra at the island of Korfu 12 hours later. It was around 11 AM the next day. When we arrived, there were a lot of Greek and foreign journalists and people from UNHCR but there was a lot of police and they refused to let them talk to us. They put us in a camp and than for one week in prison. We got only one meal per day and the Greek police treated us very badly. After one week police brought us to the mainland and then 2 and a half hour by bus to a city were they showed us the bus to Athens. All this happened in January 2011. In May I finally reached Germany.